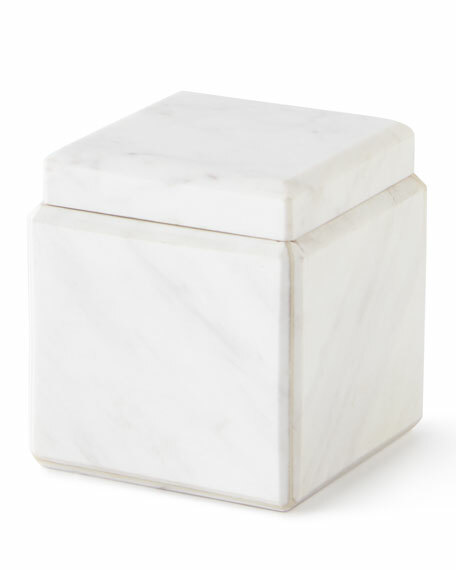 Covered jar made of Greek marble. 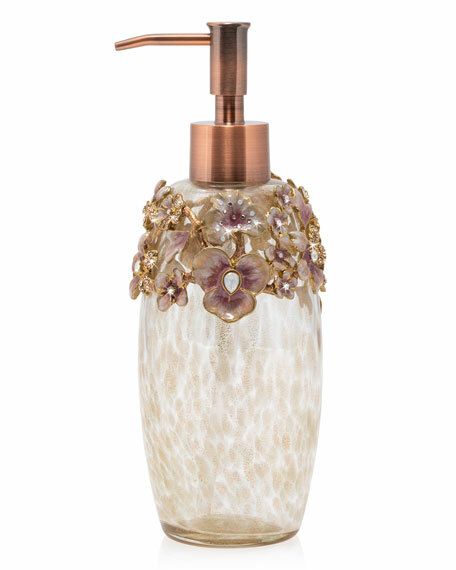 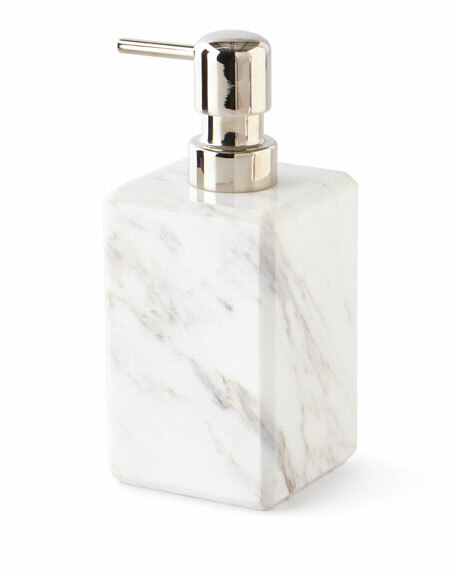 Pump dispenser made of Greek marble. 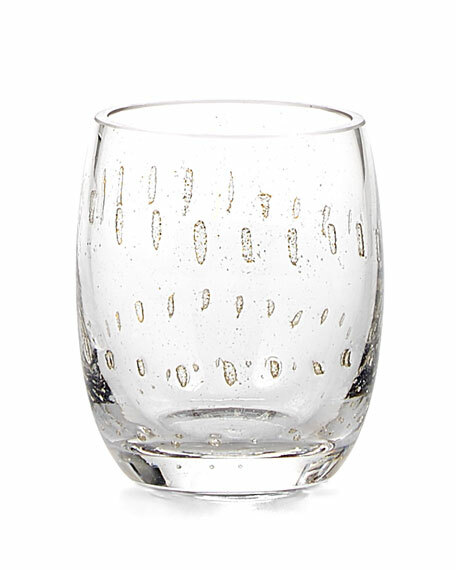 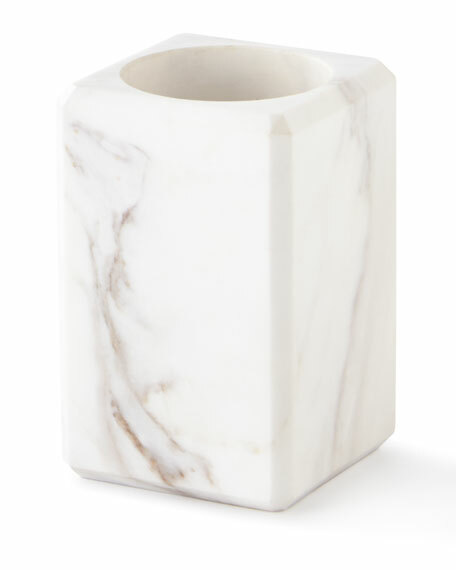 Tumbler made of Greek marble. 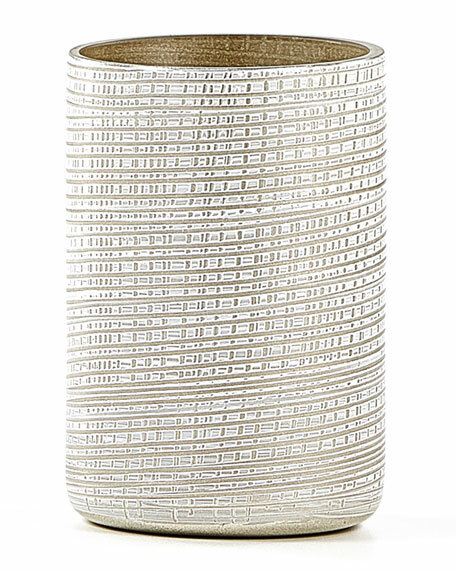 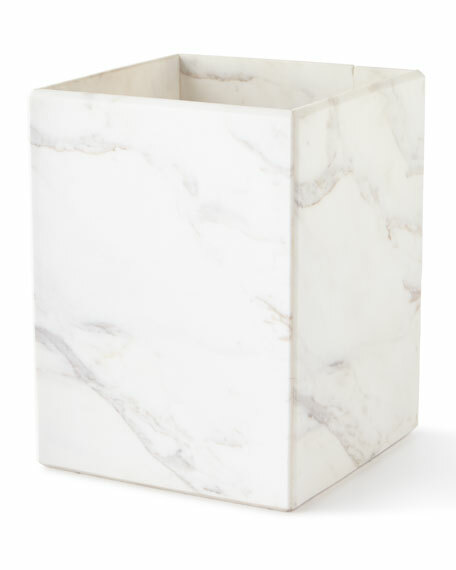 Wastebasket made of Greek marble. 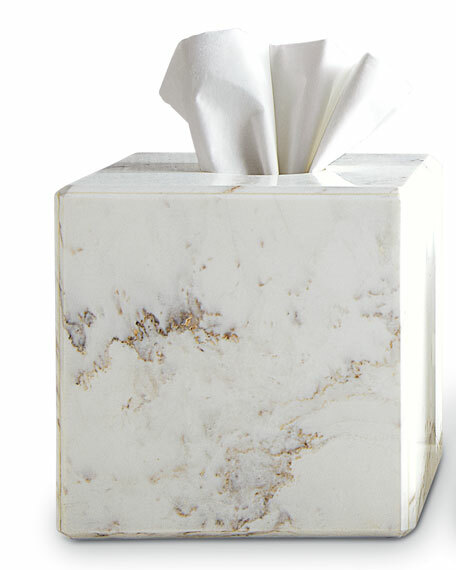 Tissue box cover made of Greek marble. 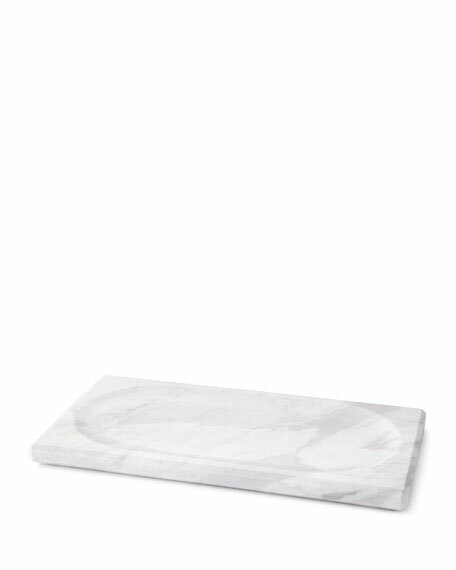 Please note: Cover is made of natural stone and may vary in appearance. 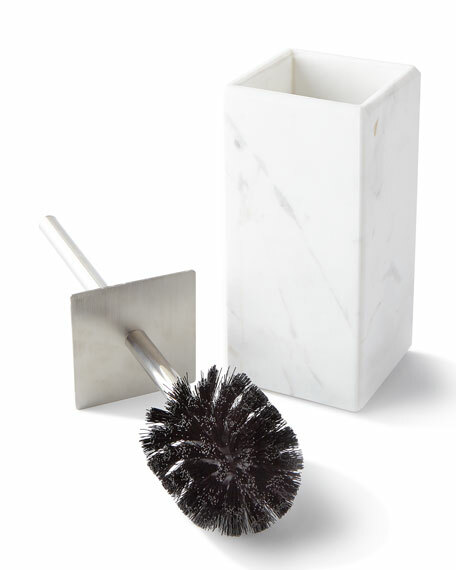 Toilet bowl brush with marble holder. 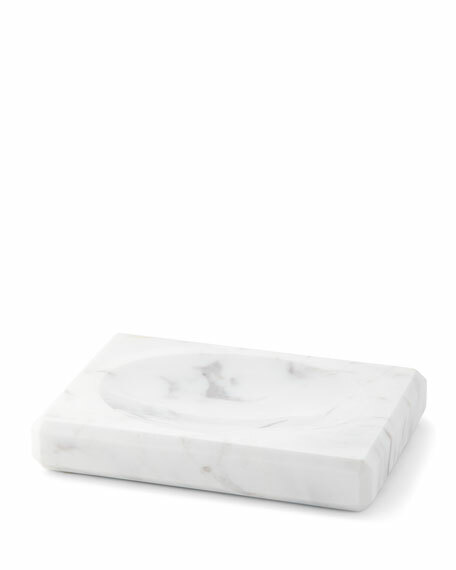 Soap dish made of Greek marble. 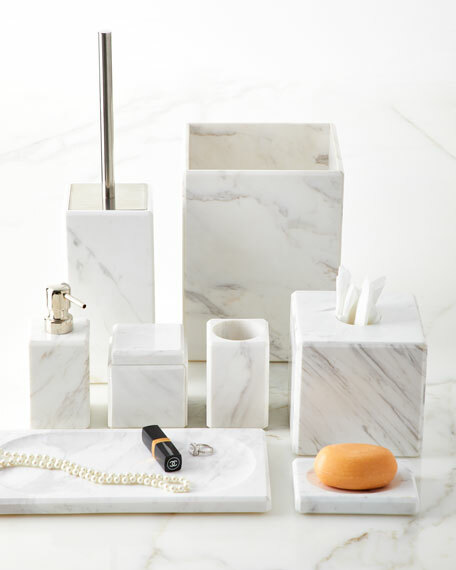 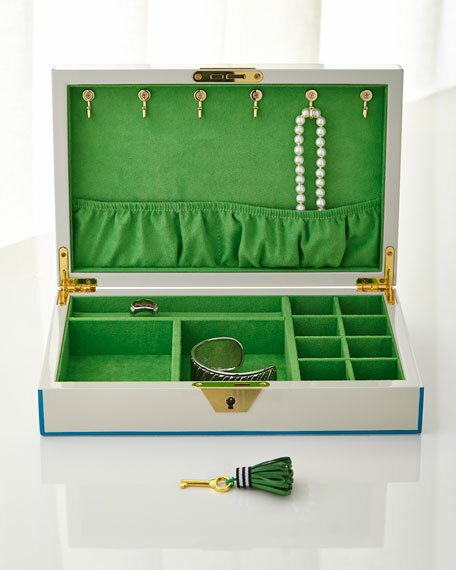 Tray made of Greek marble. 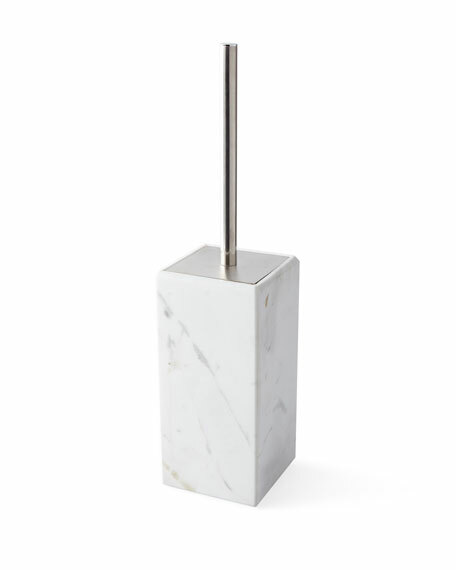 Approximately 12.5"L x 6.5"W x 1"T.